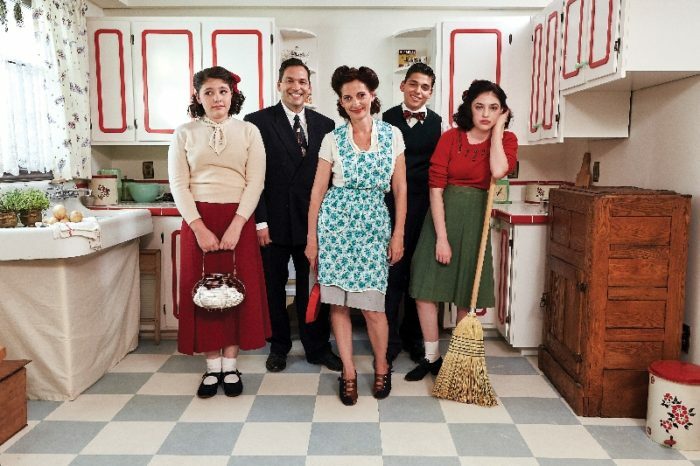 CBC Announces 'Back In Time For Dinner' Social Experiment Series - Are You Screening? When it comes to the broader genre of reality programs, I’ve always loved those that you might call social experiments. From the various “decade house” series, or Frontier House, to those that have similarly put people into situations out of time, or at least out of their comfort zone. The CBC has announced a new series, Back in Time for Dinner, which will serve to take a Canadian family through six decades. The show will hit June 14th at 8 p.m. on CBC. Based on the Warner Bros. format that took a British family through similar paces, the series combines food, fashion and culture to turn the Campus family home into a virtual time machine. Each week the family will dive into a different decade, and much like those shows from the decade series, the shock of trying to cope with how things were in earlier times can make for quite the challenge. This one should not only be a fasinating look at the customs and problems of daily life in earlier times, but it’s sure to be one that people are going to be talking about. Starting in the 1940s and landing in the 1990s, their home will become a virtual time machine as it is transformed into a new decade each week. With a weekly guide presented to the family by host Carlo Rota, the Campuses will cook and eat their way through the experiment, experiencing first-hand changing family dynamics, gender roles and diets, as influenced by the social, technological and economic realities of each decade.